Erika came to James B. Nutter with 20 years of experience in the insurance industry. She knows the importance of helping her clients because she has done it her entire career. 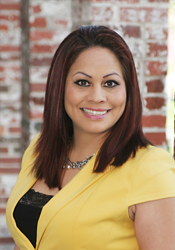 Erika was raised in Strawberry Hill in Kansas City and is an active participant in the Hispanic Community. Erika has a 7 year old daughter and three sons; ages 18, 15, and 12 - who love to play competitive soccer. She is a true soccer mom. She attends all her children’s events and will be attending her son’s college soccer events in Iowa. Erika loves to spend time with her kids and travel. She goes back to her native Mexico at least two times a year to visit family.